HUNTINGTON, W.Va. – Researchers from the Marshall University[jcesom.marshall.edu]Joan C. Edwards School of Medicine have published a paper highlighting evolving concepts in the onset of uraemic cardiomyopathy, or cardiac abnormalities associated with chronic kidney disease. Patients with chronic kidney disease or end-stage renal disease have an increased risk of cardiovascular disease and mortality. 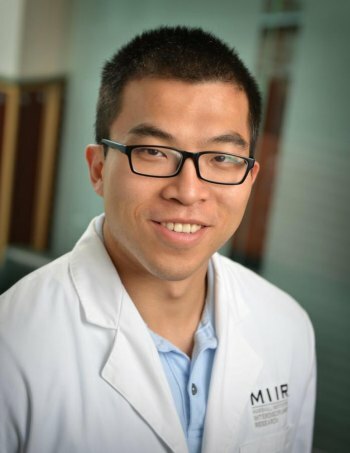 In an article published on Jan. 21, 2019, in Nature Review Nephrology, the Joan C. Edwards School of Medicine’s Xiaoliang Wang, Ph.D., a postdoctoral research fellow, and Joseph I. Shapiro, M.D., dean of the school of medicine, outline evolving concepts regarding the roles of fibroblast growth factor 23, inflammation and systemic oxidant stress. The review considers the interaction of these factors with more established mechanisms, such as pressure and volume overload resulting from hypertension and anaemia, activation of the renin–angiotensin and sympathetic nervous systems, activation of the transforming growth factor-β (TGFβ) pathway, abnormal mineral metabolism and increased levels of endogenous cardiotonic steroids. The review, which highlights the findings of a number of related studies, identifies oxidative stress as playing a role in all of the putative molecular pathways involved in the pathogenesis of uraemic cardiomyopathy. Much of Shapiro’s original research with his partner, Zijian Xie,Ph.D., director of the Marshall Institute for Interdisciplinary Research, has been dedicated to the Na/K-ATPase signalling amplification loop as it relates to oxidative stress. Wang did his Ph.D. training with Xie and produced important work on the molecular basis of this amplification loop during his training. To read the article in its entirety, please visit www.nature.com/articles/s41581-018-0101-8.